Today I’m pleased to welcome back Rebecca Bryn once more. Some of you may remember her from our work on the anthology You’re Not Alone in aid of MacMillan Cancer Aid, or from her appearance in my Welsh Wednesday Interview series. Still, there is a lot more to learn about her and her books. So welcome back Rebecca. Please tell us a little about yourself as writer and as person. I live in West Wales with my husband, some sheep and my rescue dog. I write, paint, garden and walk, and we have a small boat on the canal near Brecon. I’m stubborn and determined, and fairly forgiving. I think, in a way, it chose me. I had a sixth-form teacher who was a Polish Jew. He was the kindest, gentlest man I’d ever met and the pain in his eyes touched my teenage soul. He’d lost all his family in the holocaust. His eyes haunt me still and I had to write about what he suffered. Touching the Wire is the story of all the men, women and children of the holocaust and is dedicated to the memory of my old teacher. I was born a few years after the end of the Second World War and grew up with stories of both wars. At the time, to a young mind, they were boring tales about something long gone. Now it’s too late, I wish I’d listened to the rich history those men held in their heads. The inspiration came from a television report about Nazi war criminals, coupled with some burr-elm boxes my husband was making in his shed. It went through several metamorphoses before becoming Touching the Wire, the story it is today. The concept is forgiveness and the fact that, between black and white are, dare I say it, fifty shades of grey. I examine the shades between the extremes to allow for redemption on some level. 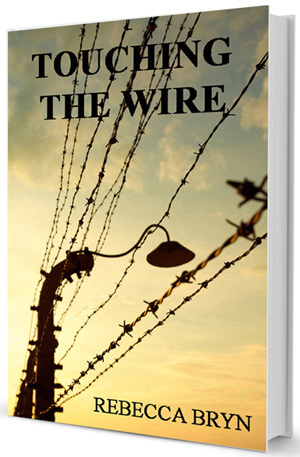 Guilt and forgiveness are both common themes in my novels: the research for Touching the Wire was harrowing, and the story based on true events. It certainly challenged my powers of forgiveness. I began writing about ten years ago, not with any great intention of becoming an author – more on a whim. I typed Chapter One without much idea where the story was going other than a concern about the future of our planet. I called the ensuing novel Destiny. It wasn’t very good but I liked the basic story. This year, I took out the original document and totally rewrote it. Where Hope Dares, out soon, is the culmination of ten years writing experience and quite a bit of research. Nor really. I did some proof-reading for a friend which sparked my initial interest. My husband did once say ‘Why don’t you have a go?’ I think he regrets saying that now! It’s odd the random things that spark an idea. A TV report, a wood carving, Ogham writing on a windowsill in the church at Nevern up the coast from where I live, stone circles, the release of Angela Canning after being wrongly imprisoned for a cot death, global warming, an article about psychopaths and a hairdresser with PMT! I find writing a bit like painting. You begin with the underpainting, you carefully plan the composition and the relationships between the main components, you concentrate the perspectives to draw your eye towards the focal point then, the chances are, you get a big brush, daub a load of colours on haphazardly and things suddenly spring to life. It’s an organic growing thing and more about passion than perfection. It’s a challenge. I try to market a bit every day. I rarely get to write every day but I am constantly thinking about my writing, as is apparent when I say ‘What?’ every time my husband speaks to me. He thinks I’m deaf. Quiet. I love to paint seascapes in watercolour and am treasurer of the local art group. We hold exhibitions each year and those, the dog, the husband, a five-acre smallholding and writing keep me pretty busy. Life – When it doesn’t make me cry. Are you free next Wednesday? ‘Why worry’ – Mark Knopfler Not sure why but there will be sunshine after rain. I have to keep believing that. It isn’t historical in the real sense of the word though it is, perhaps, an alternative history. It’s a story of the eternal struggle of good over evil and is set in a challenging time of social, religious and political upheaval. I think it’s going well and is at the ‘final edit’, if there is such a thing, and first proof-reading stage. I hope to have it ready for publication in a few weeks’ time. 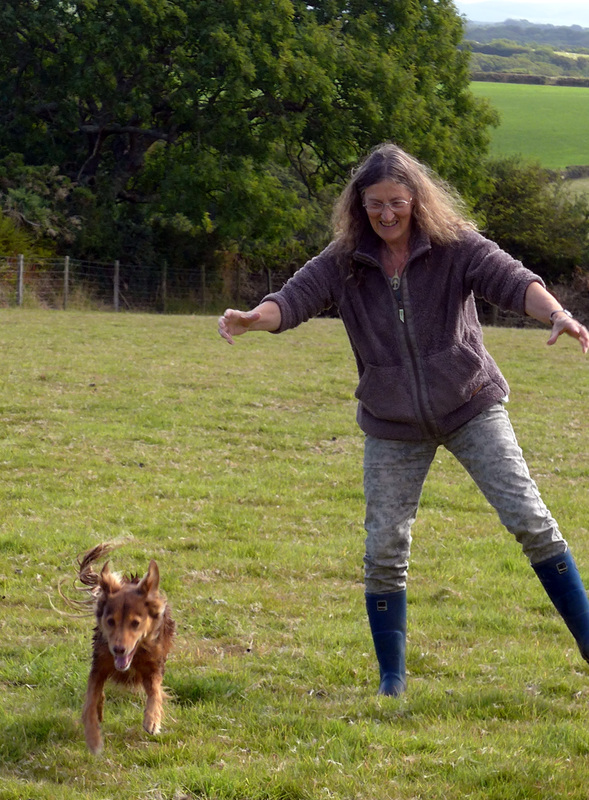 Rebecca Bryn lives on a small-holding near St Davids in West Wales with her husband, dog and a flock of sheep. She writes thrillers, and paints the stunning Pembrokeshire coast. She has work in private collections worldwide.